Hyundai is a big name in the world of automobiles. It launched many energetic cars which changed the perspective of people regarding cars and automobiles. I10 is one of its models which were launched in 2007 by this giant manufacturer of South Korea. I10 ERA came with the petrol engine. Power steering makes it one of the best cars in this range of cost plus power window is also available in it. There are many things which make this car one of the best cars in this range. Few of them are is its fuel efficient and a common man can easily afford it. 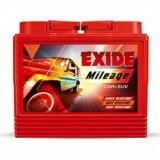 The battery of this car is easily available in market. You can simply visit on everyonechoice.com and order for it at cheap prices. If you do not trust online shopping then you can even go for cash on delivery. Home delivery is also available and that too at free charges up to few kilometres. EMI is one of the options which are offered by us. 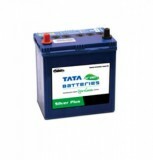 Note: We provide cheapest Hyundai I10 ERA Petrol Car Battery Price in Delhi, India. 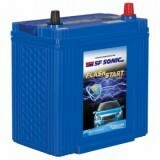 Buy Hyundai I10 ERA Petrol Car Battery Online.